**UPDATE: A more informative post as well as updates can be found by clicking HERE and HERE. **To get helpful assembly instructions, click HERE. I LOVE Brain Breaks during the school day- they are simple, quick, easy, and can really elevate the mood of myself and my students. In the past, I have created them off of the top of my head, made posters, had the same breaks over and over- nothing seemed to work. Then, last year, I came up with a simple poster that listed all of the Brain Breaks with tiny pictures to help the kids remember. I would introduce them one at a time throughout the year and we would build a nice repertoire by May. I think these are not just fun, but such a more interactive experience! I will have a student helper grab a break for us, or I can still glance through the options and choose one I think will work particularly well for our needs at the time. Hint: The "hand washing" break is a fantastic activity before Writer's Workshop-it gets their hands and forearms energized and ready for writing! I simply cut out the circles, mounted them on construction paper (you could just print them out on cardstock to save that step), laminated them since they get quite a bit of use, and hot glued a popsicle stick to the back- easy peasy! Now, we have more wall space where our poster used to hang and can now bring our Brain Breaks with us wherever we go! 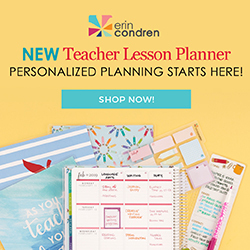 I have listed this in my Teachers Pay Teachers Store and hope you can swing by to pick it up. If you use these, I would love to hear how they go in your class- leave me a comment! I would absolutely LOVE these! I'm a student teacher that will have my first classroom (*fingers crossed*) in August and definitely want to incorporate this into my classroom on a daily basis! I love this! I use Brain Gym a lot, but have never had a great way to remember them all without a poster. What a great idea! There is one I learned where students play 'waiter' and take a notebook to twist around high above their head and then low in a circle next to their hip. It's a challenge to do it without dropping it! I would love these! I use Brain Breaks in my classroom. I love the Rock, Paper, Scissors Math! Wonderful idea! I just purchased them from your TPT store! Thanks for sharing!! I love these! How easy it would be to just pull from these anytime you wanted to drop them into a lesson! 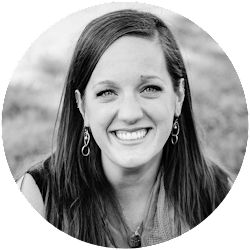 I'm a new follower-thanks for what you do! I really love this idea! I am a student teacher and have never used "brain breaks" in the classroom. However, I think that would be an excellent practice to incorporate. I also love that it is interactive! I am commenting on behalf of my mom who is a third grade teacher in KY. I would love to win these for her!!!! I don't know If she uses brain breaks but they sound perfect for the age she teaches! Jennie.liebman@gmail.com. Thanks. These look amazing! I would definitely incorporate these into my classroom right now, especially with summer being so close and so much testing coming up. Thanks for sharing! Just came across your blog on Pinterest. As a school counseling graduate student, I envision using Brain Breaks before, during, or after classroom guidance to keep students learning and engaged. I have done informal brain breaks such as getting students out of their desks, moving, and stretching before. I love how your Brain Breaks are so neat, durable, and easy to use. I am always looking for resources to add to my slowly growing collection. Thanks for offering us the chance to win this freebie! I just found your blog & TpT store. I'll be checking both out in more detail! We use Whole Brain at our school. I'll be using those brain breaks while we're preparing for our state test. The kids will love air band, I'm sure. I'd love to be a winner! Thanks for the great space-saving idea... and the frustration-saving idea for me! Anything to help my class extend their focused learning time with group breaks is a blessing! 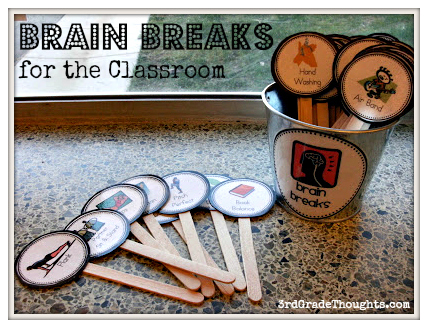 I have been trying to figure out how to add a variety of brain breaks to my classroom. I am a first-year teacher and I have a class full of wiggly first graders. They love the breaks we already do, but these would be phenomenal to use everyday. We currently just get up and do exercises (jumping jacks, push ups, sit ups, etc), simon says, and pretty much anything I can think of them to get them up and moving. I would love to have such a great variety to implement!! How would this work with lower grades? Like 1st? I think these would work tremendously well! Love these ideas! I have never used official brain breaks through I have had the kids take a stretch break when I see they need it. I love the idea of having many to choose from! Air band is the one I want to try first when I get back from vacation! I have not done Brain Breaks, but I have been looking for something just like them! I teach in a Special Education unit with some pretty low level kids, but I think they would really understand and love these! I LOVE this idea! Anything that will get the students up and moving to engage learning is awesome! I am an intern at the local college for Elementary Education, so I am always looking to add to my future classroom. THANKS for the post! I was so excited to stumble upon your blog tonight (found via pinterest). I have incorporated some whole brain teaching techniques this year, and will be team teaching next year, where we will use Daily Five and CAFE. So, it was pure coincidence to see some of my whole picture for next year on your site. I teach first and brain breaks are imperative. They not only get the kids moving, but it lightens the mood. I love the fonts and pictures on your bulletin boards and store listings. I would love the freebie AND would use them regularly. What was the title of the book? I would love to get a copy of the book myself. I love brain breaks! We do one where you twiddle your thumbs in opposite directions. 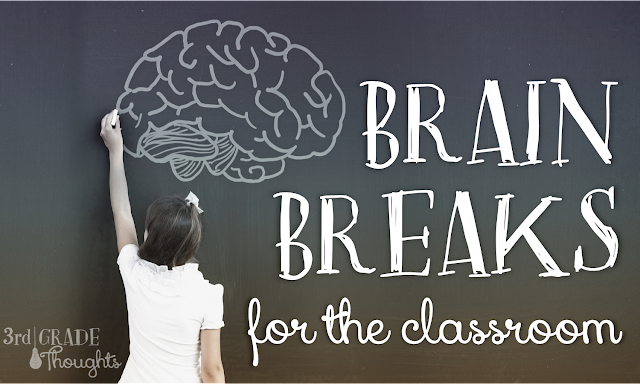 I haven't used brain breaks, but think they will be a great addition to my class. I teach third grade and would love these. I've been making things up for lots of years now. Thanks for sharing your idea. Wow! This is a great management tool to add fun and focus when brains are tired! I would love to use them as I will transition from K to 3rd next year and many of my strategies are too 'baby-ish' for more sophisticated students! I am in Love with this idea. Brain Breaks are often taken in my classroom so we can all regroup with all of our "wiggles out". What a great idea to have planned Brain Breaks built into the day! Looking forward to trying this out. I teach 6th and 7th grade and my kids love brain breaks! Their favorites ate jacks, 5sec. Ninja act, give five high fives, touch the ceiling ten times, and figure eights...which incorporates both sides of the brain. I am actually working on a more informative post about Brain Breaks and it should be up in a week or so. You are right, some of these cane be used as transitions, but most of them can be a quick activity in the middle of a lesson or work time that will exercise the body and refocus the brain. These breaks do not require any additional equipment and can be as short or as long as you'd like. Check back soon for more details and thanks for stopping by! Love this! Definitely want to try it out with my 6th graders. 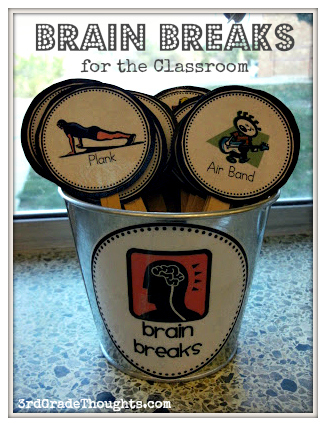 I love these - we do Brain Gym in my classroom...these would be perfect! Do you ever wish you were made of money? I have so many things I want to buy at the upcoming big sale...maybe one day this teacher will win the lotto - ha! Thanks for creating such a quality product!!! Oh my goodness! I LOVE this idea! Would love these for the new grade I'm starting! I will definitely use this. I just graduated and I know right where I would have used this in student teaching. This year because I am subbing and I will definitely use this in my bag of tricks. I love the planking idea, where do you think would be a safe place to do this? 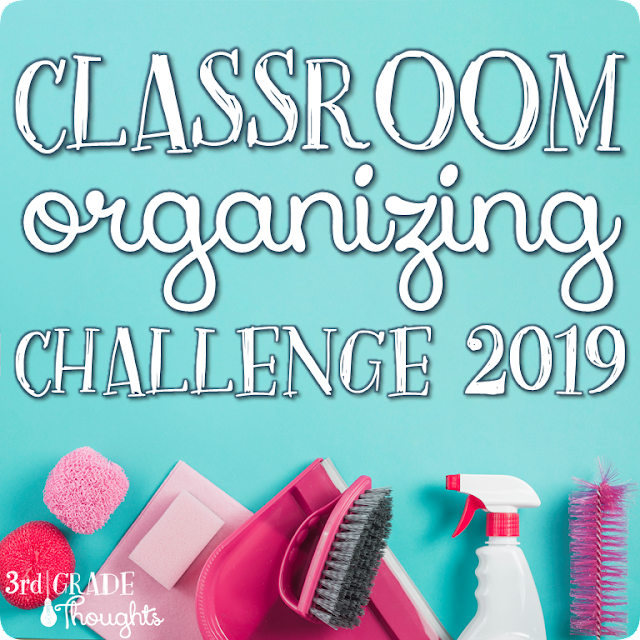 I think I would like to have the kiddos try this in different areas to keep the idea fresh. These are adorable! I teach 9th grade English, and I can see these WORKING! Thanks for sharing SUCH a terrific idea!! I'm so happy that I stumbled upond this! This is an awesome idea and would love to try this at home with my sons! Thank you for coming up with this! This is a great list! Thanks for it. Hi, this is such an amazing idea, I would love to do this with my class as I have quite an energetic bunch. Great blog, keep it up! !